We have heard that user-experience is been the most vital part of every successful SEO campaign but many SEO's don't always pay serious attention to it, but this time you have to focus on user-experience either it's related to your mobile website or main navigation or website speed. Many of us agree that Google has put significant efforts to change the SEO game in last 5 years and most of its algorithm changes was related to user-experience including hummingbird, pigeon, mobile-geddon, Amplified mobile pages (AMP), website security and latest "Machine Learning" however it is under process and Google has not started its campaign to convert your structure to comply with this beast. All these algorithm changes are made to enhance user's experience on Google and off-course on the web, most do agree! So what's the game now? That's the question you got in your mind now? Ahn alright, I will explain. A great design consists of three things "Responsive, Intuitive and Inviting". Again it's for user and bots both not for search engine only. If you notice all big names don't change their web design and structure but keep enhancing their process to make it more useful and easier for the user's to interact. It's because they invested a lot to identify what work best for them and for the users and not want to lose their users by anyway. Creating SEO optimized, keyword rich content has been a practice for most of the SEO's off-course it helps you increase your page's relevance and can provide you boost in rankings but again what happens if you achieved higher rankings but see high "bounce rate" on those pages? How will you translate that then? Oh Man, I forgot to create content according to my user's interest. And you will notice due to that you are losing ranks on many other pages as well due to high bounce created by 1 particular page that contributed high chunk in average bounce rate of your website. So a good design and great content that is written according to your audience's interest help you maintain your bounce rate and other important metrics that google accounts in ranking a web page. Off-course only this doesn't explain the whole user-experience there is the lot more to improve a website's UX and SEO. Website performance is another important part of user experience and SEO, higher page load time kills all your efforts like a study conducted by Google says a user will most likely exit a web page if it doesn't respond it 8 seconds. Optimizing performance is very very important for any website because Google is not the only one here to decide but it directly involves a user to take the decision. Make sure, your website loads faster by eliminating any render-blocking scripts, optimizing your images and HTML code. Let's wait for 15 days or so to compare the previous date with the new one to see the difference, remember you must create customized reports to compare performance by devices not you have to work separately for mobile and desktop site. "SEO should live within and be a part of the user-experience"
Google has relied upon numerous tools for ranking websites over the years such as algorithms and programs. However, the introduction of new updates such as Penguin and Panda has revived the way in which ranks a website courtesy SEO features. The same situation can no longer be considered reliable as the technology has developed faster in recent times. Getting along with the latest trends of ranking a website has influenced the search engine major to a maximum extent making it consider several features at the same time. Interesting concepts are unveiled by the reputed firm to ensure that the websites are ranked better and in a genuine manner. TV Rank is the new buzzword in the search engine world that has been brought to the fore by Google in a successful manner. Several eyebrows have already been raised with the advent of this new ranking system. Perhaps, the new process will make inroads into your home directly with the consideration of several features in a comprehensive fashion. Numerous signals will propel Google in ranking websites in a more accurate manner due to which the best results are experienced with ease without going through any complex situations of ranking anymore. Perfect analysis could be made regarding the latest processes to be considered for ranking websites in an effective fashion. Search results will be more structured because of the highly effective process chosen to realize the desired benefits without going through any major issues. Perhaps, the relatively breakthrough process is considered to assess the linking patterns online resulting in a better ranking system with ease. The involvement of the physical locations of an individual user using search engine is regarded as the most crucial aspect in determining the exact preferences in detail. Latest TV ranking system will help in conceptualizing the new process with the inclusion of several features with ease. Enough importance is given to search history as well prioritizing the personal preferences of an individual in detail. Such data collected from a broader perspective will influence the way in which search engine ranks each website without foregoing upon an individual requirements. Now, those programs that a person watches on television could be a driving force in ranking websites with a holistic approach. More updates are yet to be generated in order to determine the exact ways Google will be able to convert the signals into ranking factors. With the securing of a patent in this regard, the same could be seen as the major victory of Google in revolutionizing the way search engine is used. Imagine the impact that your television watching habits could make upon the search engine ranking system in a direct fashion. Though it might appear to be unbelievable during the first instance, the fact that the systematic approach is considered for the ranking process will prove to be most effective on an overall. The role of television programs in determining the ultimate ranking prospects with active representation of various websites will prove to be more interesting in the near future when the project is implemented on a full scale. If you are willing to increase your web presence on social media and search engines and get potential customers to your website through these channels than there are two options you have, first is free and 2nd is paid method where you spend money and get disired results. As I have already written Search engine optimization Tips (15 core SEO Tips) to bring quality traffic to your website but those tips require lot of time and efforts and experience to do it in proper way. By spending on PPC advertisement (Pay per click ad campaigns) you can bring thousands of potential customers to your website and boost your business. To launch a successful ad campaign you need to be very careful while planning and implementation. I have seen many people lost their money and waster their time by choosing improper channels and spending money without setting their goals. Choosing appropriate channels is first step to online advertisement and really very important as well. Today I will try to list 10 best paid methods to advertise your services and acquire potential customers. I would suggest everyone to select more than 1 methods based on your targeted audience, your market, your industry and goals and nature of your services or products. Everyone is acquaint with web directories, there are hundred of thousands web directories available on the internet but not all are useful even most of them are become link farms means submitting your link their is useless and will hurt your reputation in Google's eye. Nevertheless there are thousands of niche or industrial directories exist that can provide you high quality links and relevant traffic. Many of these directories offer paid / featured listings, purchasing a paid link on web directories could be a great way to increase your visibility and getting relevant traffic to your website. Banner Advertisement is one of oldest and most popular way of online advertisement. It is an easy to start advertisement method that require less technical knowledge. Many website are out there offering banner spaces and various sizes and prices. Email marketing has been one of the most used method to advertise services and products by web marketers. 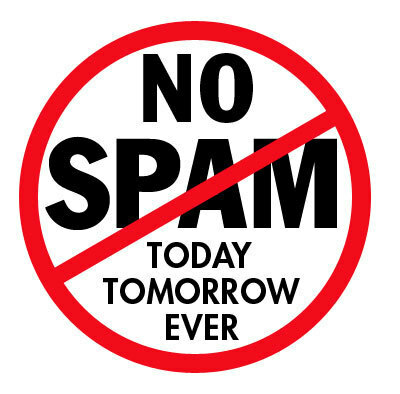 There are several companies sale opt-in emails lists. These lists can be very powerful tool to generate potential leads for your business. If you are willing to purchase such lists, make sure the lists your are going to purchased are prepared ethically and email address data is collected in a legal way. Using stolen data of email addresses will not get you useful results even it can hurt your reputation. Many services companies use this method to get potential leads, Through this you can easily reach to highly targeted audience and increase you traffic and sales. Find most relevant websites that have thousands of subscribers, choose the perfect position and size. Your creative must be attractive to the subscribers. Adwords is no more new term for each one who is related to IT or Web industry. It's a Google's most popular program which allow everyone to run their ad campaign on Google with relatively low cost. You can also use Microsoft Adcentre and more similar platforms to run your PPC (Pay per Click) ad campaigns, Both mentioned tools allow you to create Textual, Display and video ads on PPC price mode. Set your goals before launching any campaign, do detailed keyword research and find the best keywords and exclude the negative keywords to avoid wasting money on useless keywords. After Google and Microsoft many social media websites started offering advertisement programs. Facebook Adverts, Twitter's promoted tweets and Linkedin Ads become known among digital marketers. The best thing in Social media advertisement is these platforms provide detailed demographics and insights that enable advertisers to choose the most useful methods to advertise their products and services in their targeted market and audiences. To ensure the success of your social media ad campaigns select appropriate and beneficial platforms to run your marketing campaigns. Choose the platform where your targeted audience exists. It's an another paid method to boost your traffic and sales by get reviewed by influential bloggers or by getting paid reviews from local review website like Explorer.pk (Pakistan's Leading Review website). Paid review is a very useful way, by doing this you inform your audience about your products and services. Do not always go for positive reviews as Google will identify it and penalize all your links for paying for reviews. Become a sponsor on useful blogs, websites, mobile applications or of a web-pro (well known niche writer). You can also become sponsor on highly use free services. Sponsorship is a great way to get exposure and increase your brand reputation. Press releases have been a great way of increasing your online reputation and visibility among many online/ offline businesses. Many search marketers and SEO Consultants use this technique to empower their Search engine optimization campaigns by submitting their write-ups in niche article directories and news or social media websites. There are many paid press release services available that you can use to submit your news. These Press release websites will help you increasing you visibility, basically these websites distribute your press releases to hundreds of other news sites and you get great exposure and relevant traffic to your website. Affiliate marketing is a great way to boost your sales and multiply your profits in short time. Basically through this method you hire thousands of marketing experts that promote your services and products on very low cost. Affiliate marketing can help you in building a network of expert collaborators that generate new leads and get you great exposure through various platforms. Affiliate program is time taking method but get you thousands of leads once done in proper way. For implementing a great affiliate program you will need to design an attractive program, policy and goals. You will need to transfer program knowledge to your program members by training books and conducting webinars and seminars, furthermore you will require appropriate software to monitor the clicks, conversion and sales, manage and send payments records. Please contact me via email to get complete information for running a successful affiliate marketing campaigns. Digital Marketing or increasing your website traffic is not an difficult job but it takes time and experience. I would never suggest you to go for any of the mentioned methods without having technical knowledge, be careful while choosing right methods and implementation otherwise it can get you penalized in Google and other search engines if not done properly. I am available for PPC Services and Complete Digital Marketing Services including SEO, Email, Banner etc.